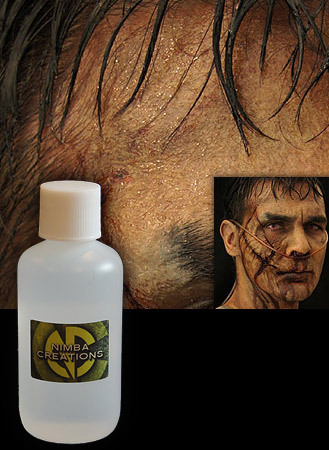 Spatter on with a brush or dab on with a sponge to create beads of sweat that won’t dry out and give your prosthetic make up effects a perfect finishing touch. This viscous non-toxic liquid can also be used for tears. INSTRUCTIONS; Apply with clean cotton swab, brush or sponge. Test on small area of skin before use; if any adverse reaction occurs, discontinue use. Keep out of reach of children. Avoid eye and mouth areas. External use only.